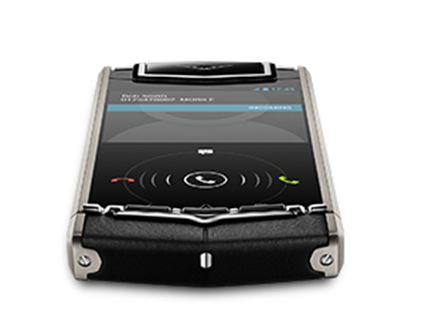 Luxury smartphone maker Vertu has launched its first Android-operated handset. 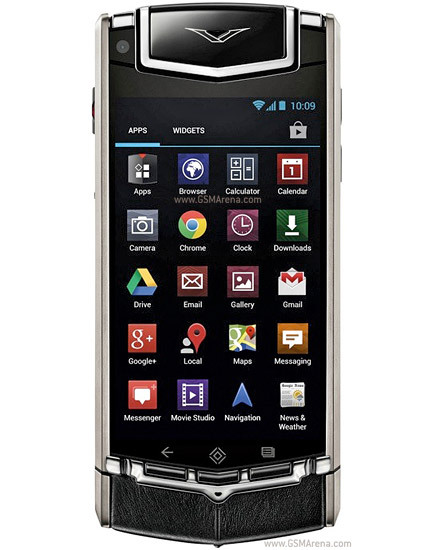 The Vertu Ti costs 7,900 euros (£6,994) and is made at the firm’s headquarters in Church Crookham, Hampshire. The device had a titanium frame and sapphire screen but was not 4G-enabled, said its designer Hutch Hutchison. Until last year the company was owned by Nokia and specialised in highly priced handsets designed for the Symbian operating system. Vertu had chosen Android over Windows as an operating system because it was more established, chief executive Perry Oosting told the BBC. The firm is also not focused on the mass market, with just 326,000 Vertu smartphone owners worldwide after 10 years in the industry.“We don’t make massive numbers of phones and the price point is reflective of that,” said Mr Oosting. Each device is assembled by hand. The name and signature of the person who assembled the phone is laser inscribed onto the inside lid of the SIM card holder. Vertu handsets can only be purchased in 500 retail outlets, 70 of which are the company’s own boutiques, around the world. Each device has a “concierge” button that connects the caller with a global team who can provide localised advice and help with events and restaurant bookings. Weighing 180g (6oz), the Vertu Ti is heavier than most current generation smartphones – the Samsung Galaxy S3 weighs 118g and the iPhone 5 is 112g. One reason for this is that it has been designed for intense durability. One handset – and its screen – remained intact and working after being accidentally run over by a delivery truck.“People think sapphire is just posh glass, But sapphire is to glass what steel is to blancmange. The only thing that scratches it is a diamond.” said Mr Hutchison. Vertu does not release figures but says sales have increased every year for the past 10 – with the exception of 2008, when the bank Lehman Brothers collapsed. It also says China is its biggest market. Other luxury brands such as Tag Heuer and Goldvish are also now competing in the niche yet lucrative space for handsets costing thousands of pounds.